Cast iron accuracy and so affordable! § 457mm (18”) maximum working length between centres. § 254mm (10”) maximum swing diameter over machined cast iron bed. § Bench model – no floor stand. § Cast iron headstock, tailstock and tool rest assembly. § 0.5hp single phase motor with variable speed pulleys in 5 steps. § Push button on & off switches. § Ball bearing live tailstock centre – No.2 morse taper. § Drive centre for headstock – No.2 morse taper. § 100mm diameter cast iron faceplate included. 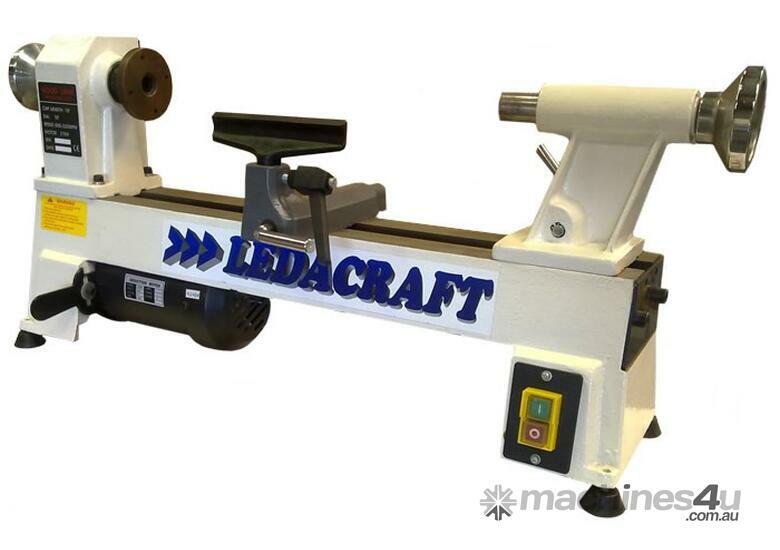 An excellent quality, small cast iron lathe for compact workshops.